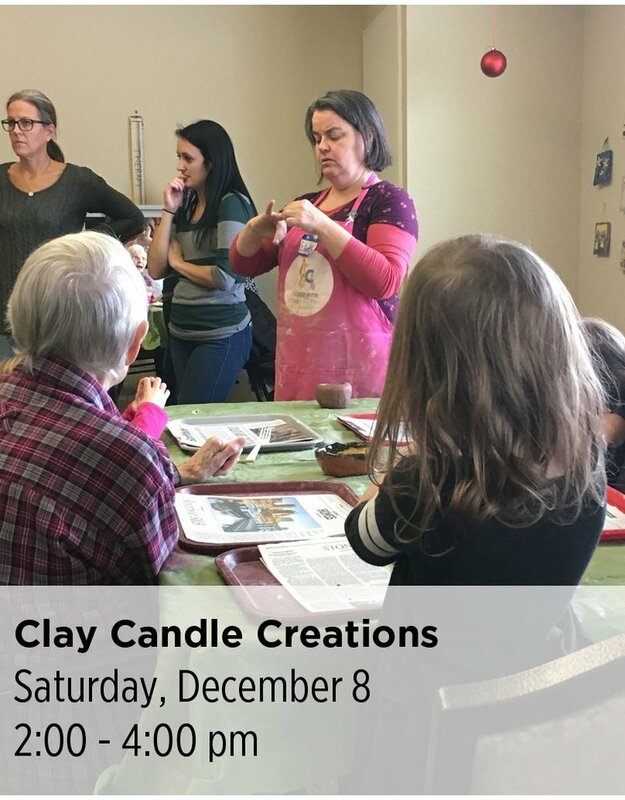 Date: December 8 Day: Saturday Time: 2:00 - 4:00 pm Description: Come to NCC to create your own Holiday candle lantern or shadow box out of clay. Candle holders are a great conversation starter and centerpiece for your Holiday feast. Bring a friend or a grandchild for this intergenerational event and create some forever memories.